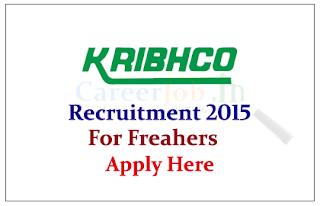 Krishak Bharati Cooperative Limited is Hiring for the post of Graduate Engineer Trainee for the year of 2015. Eligible candidate can apply online here on or before 24th June 2015. Eligible Candidates can apply online on or before 24.06.2015, for more details check official Notification. 1. This recruitment application and short-listing process is 100% Online. No offline communication will be entertained.